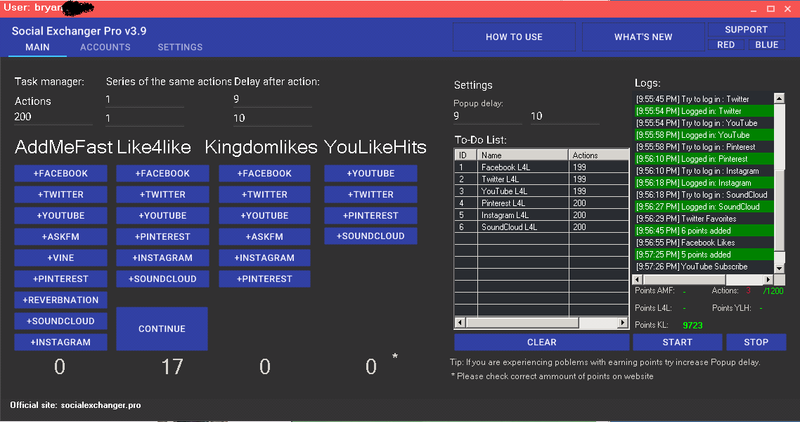 Simply way to fast gaining thousands of points in six social exchange services (AddMeFast, Like4Like, KingdomLikes, LikeNation, YouLikeHits, FollowLike). Exchange earned points for likes, subscriptions, followers and views in popular social networks. I accept BTC and PP.